This week’s Triple Shot gives us the Batgirl of the future in Batman Beyond Unlmited, a buddy vampire comedy adventure in Blood Brothers and the Dreadnoks return in G.I. Joe Special Missions. Terry McGuinness isn’t the only one suiting up in Neo-Gotham in the future. In fact, the Bat-Family is extended to a Batgirl and even the original Metal Men. 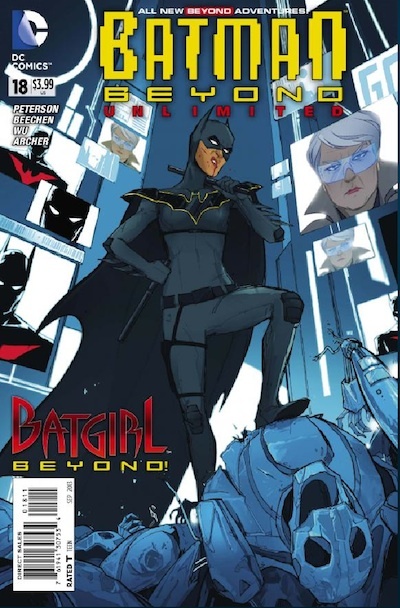 In the current status quo of theBatman Beyond Unlimited series, the police commissioner is none other than original Batgirl, Barbara Gordon, about the same age (probably a bit younger than, actually) as Batman’s mentor Bruce Wayne. In the Crown Point section of Neo-Gotham, the water supply has been poisoned by a super-steroid. Current Batgirl Nissa Gibson and Babs team up to take down the Roake Corporation who is spiking the punch. Lots of good action here in this one, as plain-clothed Babs teams up with the high schooler for some big punches and hand to hand combat teamwork. New Batgirl handles herself well, in cocky Batgirl fashion, almost getting herself into too much that she can handle and figuring it out in the end. The backup story stars The Metal Men, who have been on ice for decades, after the passing of Doc Will Magnus. Bruce Wayne reassigns them as agents of the Bat-Family, as Bruce, Terry and Nissa take on the Undercloud network. It’s great to see The Metal Men in action, a delightful and anachronistic surprise in this story set in the future.